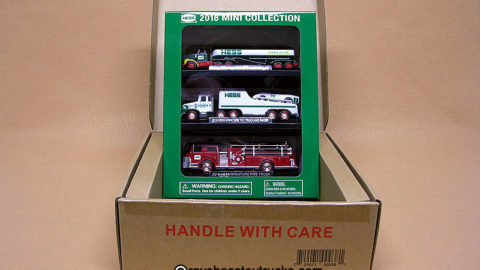 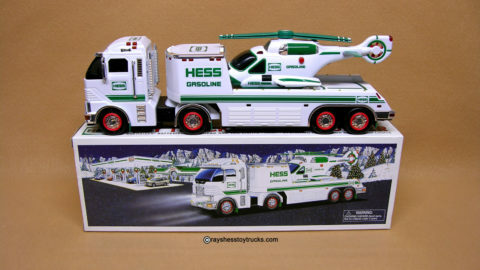 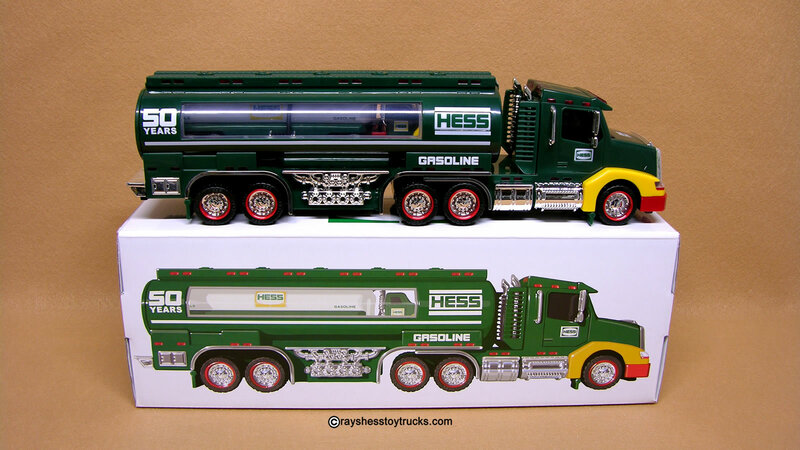 The Collector’s Edition Hess Toy Truck is packaged in a unique, commemorative display box and protective sleeve. 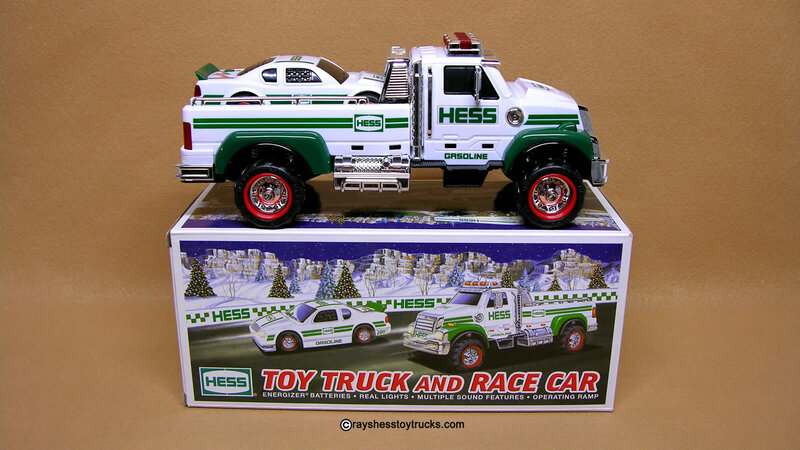 Hess Recreation Van with Dune Buggy and Motorcycle. 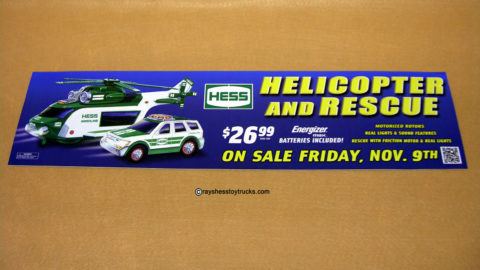 Dune buggy and motorcycle are powered by friction motors with working head and taillights. 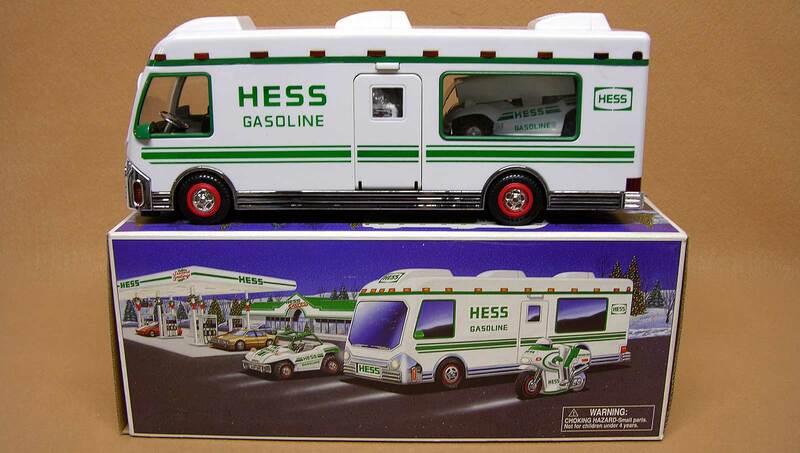 RV has a working head, tail, and running lights. 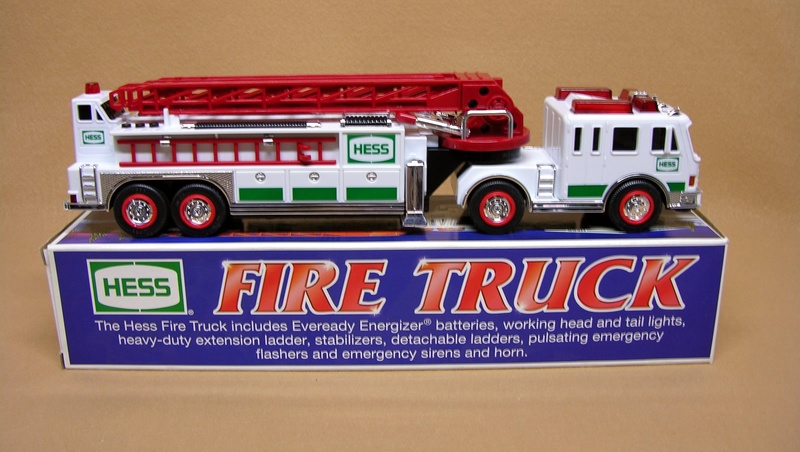 16 working lights that can flash or glow steadily. 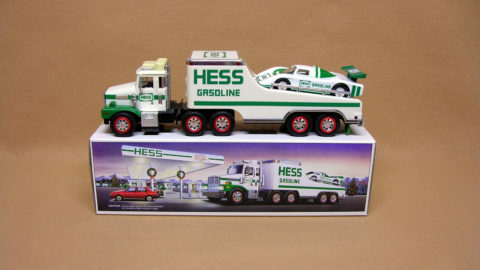 Rotating light that flashes on the top of the cab. 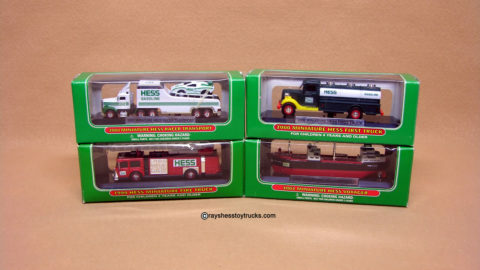 Emergency flashers operated by another switch underneath. 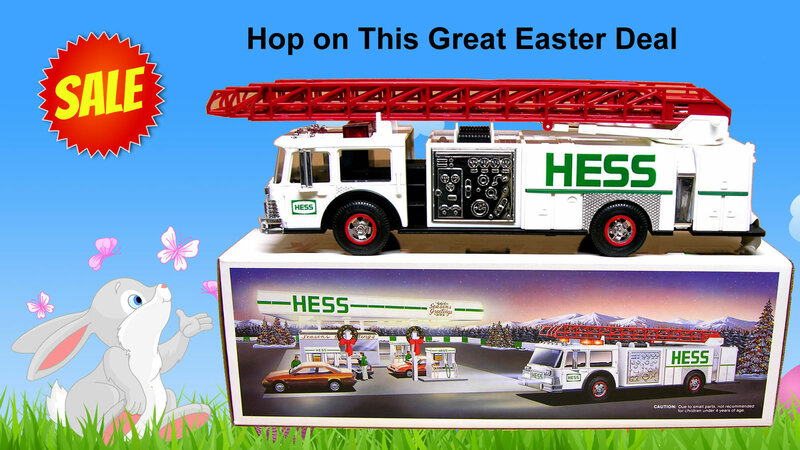 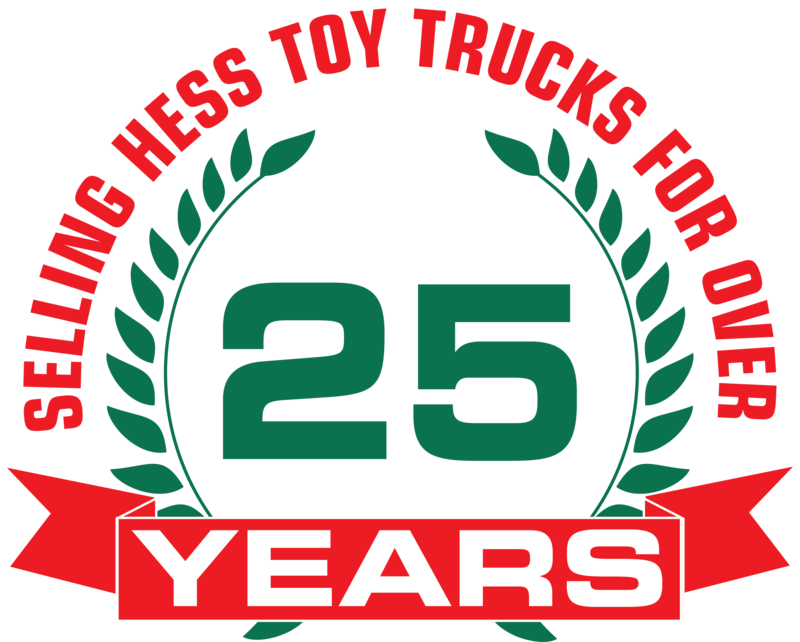 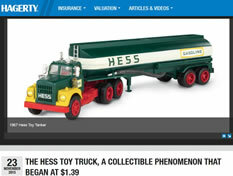 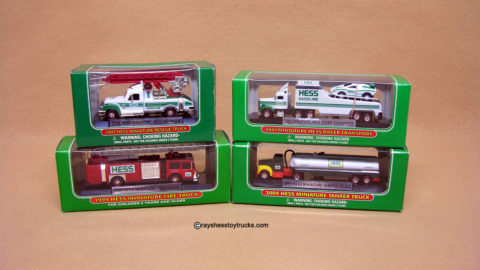 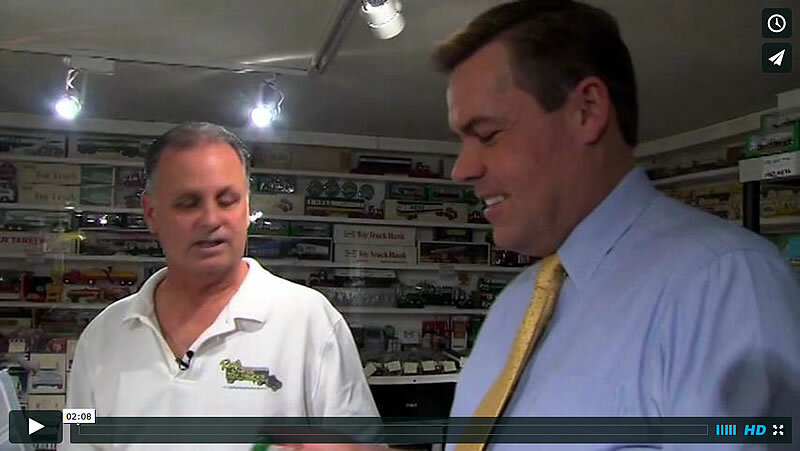 This Month’s Featured Hess Toy Trucks & Hess Collectible Bargains! 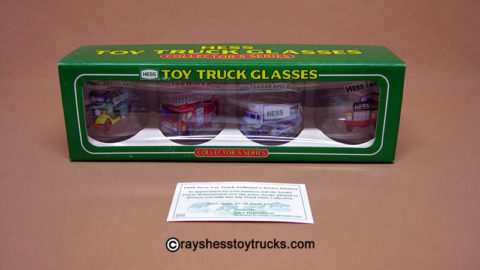 1996 Hess Gift Box Glass Set – HALF PRICE SALE! 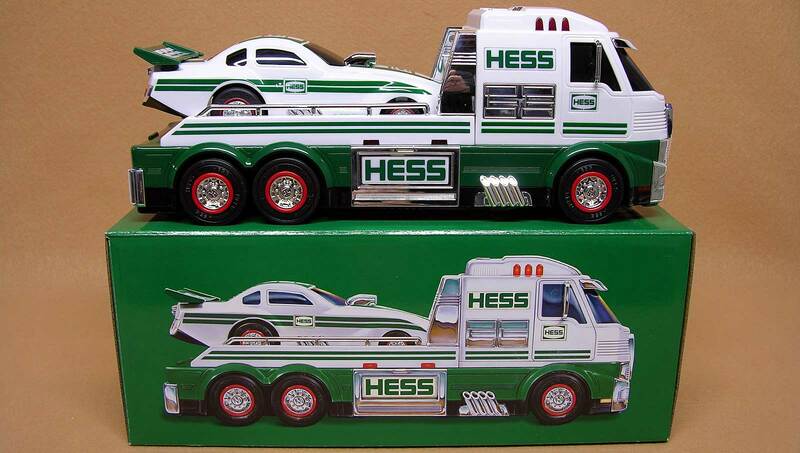 Ray’s Hess Toy Trucks Gets TV Spot!